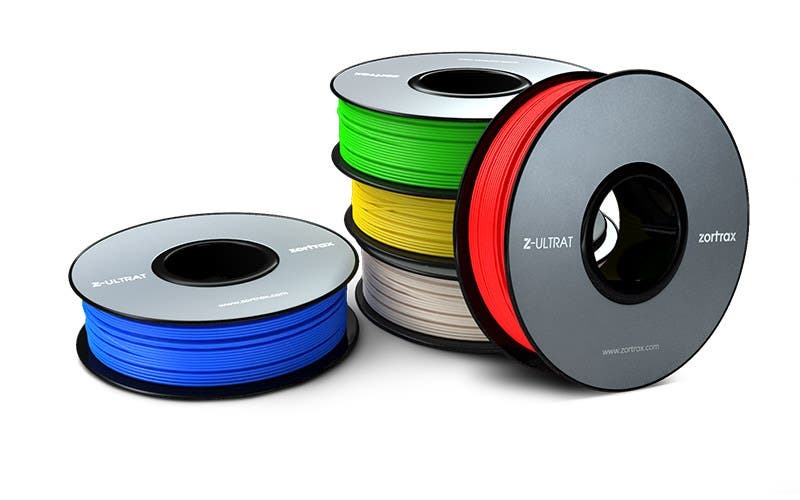 Zortrax Z-ULTRAT is a highly durable thermoplastic with high hardness, low elasticity and low deformation. It’s used to manufacture functional prototypes and end-use parts that will be put to work in testing environments. The product you are viewing here today is a 2kg reel for the M300 Plus. 2kg is the largest size available in a spool ready to go. Z-ULTRAT is easy to post-process. It can be sanded, smoothed, painted, etched, carved and more with the right tools. This material is also suitable for vapour smoothing with the Zortrax Apoller. This removes visible layer lines from the surface of prints to give them the appearance of injection-moulded models. Applications for this filament include functional prototypes, end-use parts, consumer products, casing prototypes, mechanical parts, tooling, manufacturing sculptures and cost-effective low-series production. Thanks to its high hardness, Z-ULTRAT allows you to stress-test models to real life conditions. Use it to manufacture prototypes with precision and high dimensional accuracy and enjoy consistent results every time. Safety notice: to print with Z-ULTRAT you must have a HEPA cover installed on your printer. This is not optional. Inhalation of the fumes released by this filament may cause respiratory irritation.